It's all about today's meeting of the EU finance ministers and the US Treasury Secretary who has come along for the ride. The markets have rallied so far this week into today, fully expecting the meeting to deliver something big. When we say 'big' we mean BIG. And there are only a few options available to them. One is, for the politicians, the most undesirable and that's an orderly default by Greece and an exit from the Eurozone. Unfortunately that will cost billions in losses for the banks and others that have lent to them and could set off a domino. Others include a complete recapitalisation of the whole European banking sector to the tune of $1 trillion which would make the rogue traders looks rather insignificant. Plus there is also the option of a Eurobond, another desperately unpopular solution, which in affect will mean the richer nations bank rolling and guaranteeing the debt of the poorer ones. Forex spread betting markets are gearing themselves up for today's meeting and already are showing a degree of nervousness, with the dollar showing good strength, in particular against the single currency. The euro/dollar market is seeing some sellers early on taking it down to $1.3795 at the time of writing. Near term support and resistance are seen at $1.3765/05 and $1.3940/75 respectively. The euro saw a bit of strength yesterday as hopes of an EU rescue just ticked up a little. The move brought it out of its short term downward trend and for now it seems to have found some support from the $1.3600 level. Overall though things still look bearish for euro/dollar following the big falls of last week and the break below its 200 day moving average on the daily candlestick chart. This morning the pair is at $1.3730 so near term support and resistance are seen at $1.3625/3555 and $1.3790/3840 respectively. The euro strength was also against Sterling, which looked to have turned the tide against the single currency only a few days ago when it traded up to €1.1700. However, the move higher for the pound/euro was swiftly reversed bringing it back below €1.1500. This morning the pair is at €1.1480. In the forex spread betting markets, the euro managed to post a slight gain versus the dollar, closing up at $1.3678. Traders took on a bit of risk ahead of today's Merkozy conference call, where they will talk about the general debt situation in the Eurozone. Merkel has claimed that she's confident something can be put together for the Greek bailout, and this encouraged the markets. This morning the euro is having a squeeze, and is trading at $1.3660 against the dollar. CPI numbers from the UK are worthy of note, but really that's about it on the economic data front. Inflation is expected to have risen in August, being pushed by higher utility bills and petrol prices. Inflation remains way above the BoE's target at over 4% but we can't expect them to do anything about it by raising interest rates as they have specifically said that they won't. It sounds like a broken record, but the Eurozone debt situation is intensifying and this is of course, giving the euro a real tough time. It squeezed against the dollar yesterday as traders were speculating on the ECB cutting rates over the next year, but clearly it was short lived as the euro dropped around 60 points against the dollar when the market opened this morning. The pair is trading at $1.3625 currently. The last time the Euro was trading at these levels against the yen was in June 2001 and it appears that traders see the Japanese currency as the strongest safe haven at the moment. This is down to their current account surplus which means they don't have to rely so much on foreign capital. 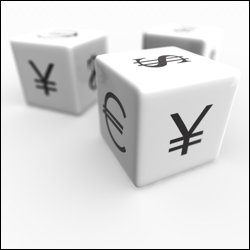 This morning the euro/yen market is trading at ¥104.82. Following on from the back end of last week, the shorters are still the main players in the forex market and they are trading the euro. The single currency is trading at almost a seven month low against the dollar, but more astonishingly, its lowest level since 2001 against the yen. After all the talk last week of the German court deciding that funding the Greek rescue is legal, it appears now the Eurozone is preparing for a Greek default. The euro/dollar pair is currently trading at $1.3559, which is below its new resistance level of $1.3650, so traders should watch for further potential downside. On the currency spread betting markets, the euro, which rather like the equities has been pretty resilient in recent days, finally dipped below the $1.4000 and ended its session there too. The ECB's statement, which was more bearish than simply dovish, wasn't received well by holders of the euro and so the single currency suffered as a result. Certainly no further interest rate hikes from the ECB can be expected any time soon and we may even see a cut next year if things don't perk up on the growth side. So this morning euro/dollar is at $1.3910 with support and resistance levels are seen at $1.3875/15 and $1.4020/4110 respectively. Sterling/dollar managed to get itself back above the $1.6000 level yesterday but this morning it hasn't been able to hold on dipping back below to $1.5965. Sterling didn't do too badly out of the BoE meeting as the very slim chance of further QE did not materialise. Support and resistance levels for sterling/dollar are seen at $1.5915/5875 and $1.6075/6140 respectively. The moves in sterling and the euro gave another boost to sterling/euro which took it back towards €1.1500. At €1.1483 this morning all eyes are on the 200 day moving average which in the past month has proved very stubborn resistance. A break above €1.1500 could open the wave for €1.1600. Many financial spread betting traders' eyes have been on the Swiss franc and how the SNB's comments earlier in the week have affected the trend for the traditional safe haven. So far their comments have caused a continued flow of cash out of the Swiss franc and euro/Swiss franc appreciated further to over SFr 1.2100 even though the euro weakened against other currencies. This morning the euro/Swiss franc is at SFr 1.2115 so 'franc bears' will be looking for a test of SFr 1.2250 and around SFr 1.2400 where the 200 day moving average currently sits. The economic releases will be interest rate focused with no action expected from either the BoE or ECB so once again it's the language that will be most focused on. The BoE is expected to become more dovish as is the ECB. People are now even calling for the ECB to cuts rates, not doing much for Trichet's credibility. Good news for those on forex markets and the euro yesterday after German courts assured their bailout commitments for Greece. This spurred traders to shift into higher yielding riskier assets including the euro. The single currency spiked at one point to $1.4148 against the dollar and also ended six down days on the spin. Saying that, it's business as usual this morning on our spread betting platform and the euro is trading down to $1.4066. Traders should watch out later during Obama's speech to see the how the dollar moves, but as it stands, the pair has support at $1.4010 and resistance stands at $1.4110. The Swiss central bank drew a line in the sand for the euro/Swiss franc rate yesterday by saying it will defend the SFr 1.2000 area as the crisis over sovereign debt continued to rumble on. We continue to see politicians' indecisiveness fuelling volatility which threatens the very being of the project they are so keen to defend. Fear that defaults will send the crisis spiralling out of control it still palpable and a break up of the Eurozone very much a possibility, so why isn't something being done? For other global investors the situation also remains unsettling due to the knock on effect this will all have on the rest of the world. The chances of a second recession are greater now than they have ever been and the lack of confidence is doing its part in causing growth to take a dive. It was fun and games yesterday for the euro as it rallied early morning as high as $1.4281 and then plummeted all the way back down within a few hours. It went as low as $1.3973 towards the end of the day over concerns that the German economy is slowing. This morning, the dollar has weakened ahead of the release of the Central Bank's Beige Book survey of economic conditions. Traders this morning appear to be happy to take on some risk as they are moving out of the safer dollar. Currently, in the CFDs market, the euro is trending higher against the dollar at $1.4070 and sees resistance at $1.4025 and support at $1.4100. The euro continued to have a rough time yesterday on the forex spread betting markets, in particular falling against the dollar and Swiss franc as traders sought after the safer currencies. Naturally the euro took a beating inline with the equity sell off. Shares were hit hard yesterday after more worries over the Eurozone debt situation. Against the dollar, the single currency has fallen consistently for five days and it looks like this morning we are seeing a bit of a bear squeeze. The shares spread betting markets are up and the euro has bounced around 60 points to $1.4109 breaking through its resistance level. Although this could be a positive signal, it is capped by a medium term declining trend line, so traders should be cautious of a reversal. Last Friday the euro had a bit of a spike against the dollar after the US employment data was released. However, the jump was short lived and the pair has continued to fall ever since. This has come on the back of an election loss in Germany where Angela Merkel's home state didn't vote for her party. Of course the main worry with this is that there could be less support for further Eurozone bailouts. As a result, the EUR/USD pair is now trading around $1.4127 and has traded below its last resistance level. In line with the concerns for support in Merkel's party, the Australian dollar has fallen to a week low against the US dollar. To add more woe to the Australian currency, they have their central bank meeting tomorrow and it's expected that interest rates will stay on hold at 4.75%. Currently trading at $1.0581, the pair could see potential downside over the next couple of days as the build up to the rate decision approaches.